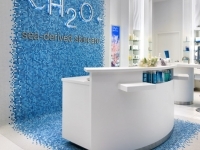 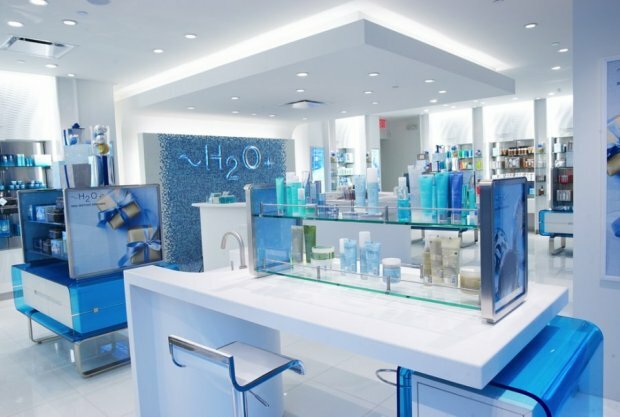 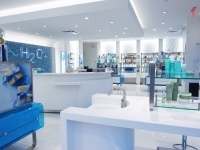 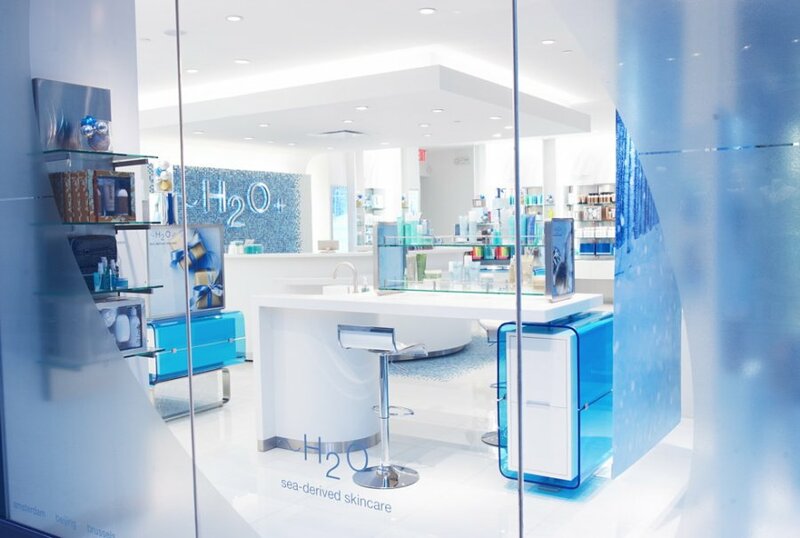 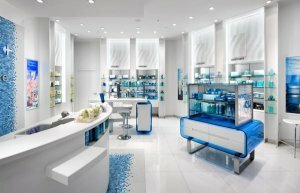 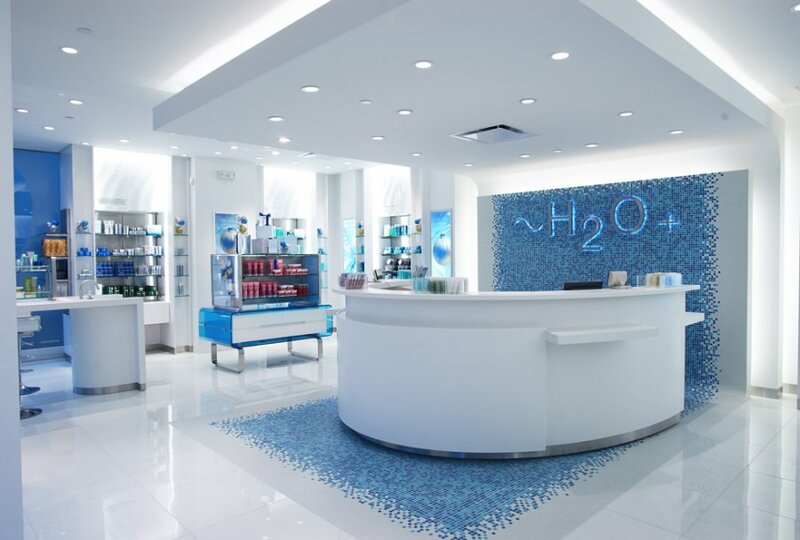 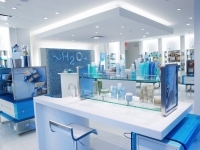 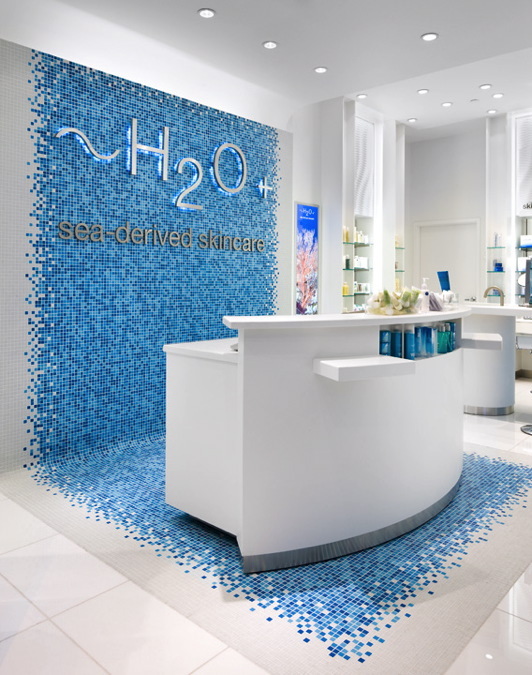 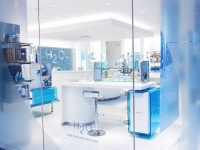 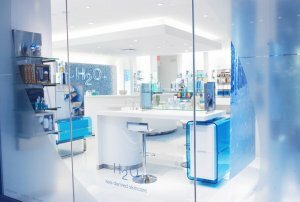 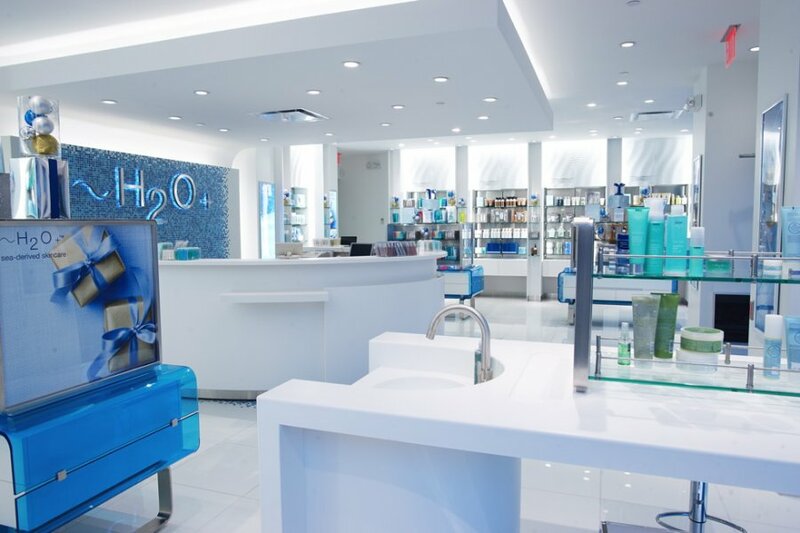 H2O+ wanted to refresh their image with a new lighting design concept for their Vancouver and Toronto shops. 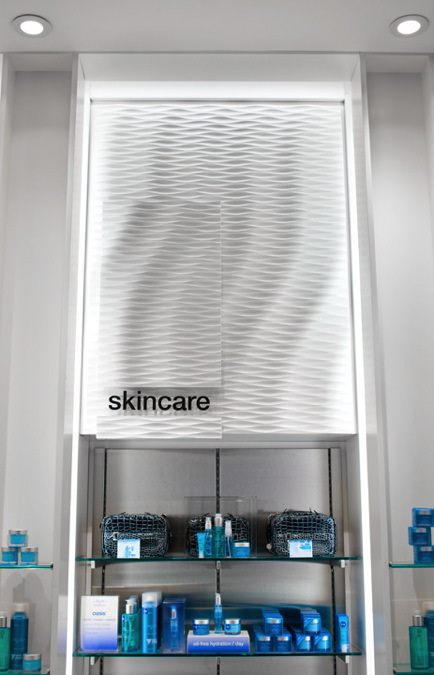 Our new design created a space that felt airy and open using a high level of ambient light and featuring a central lit ceiling element. 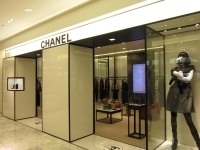 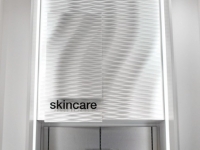 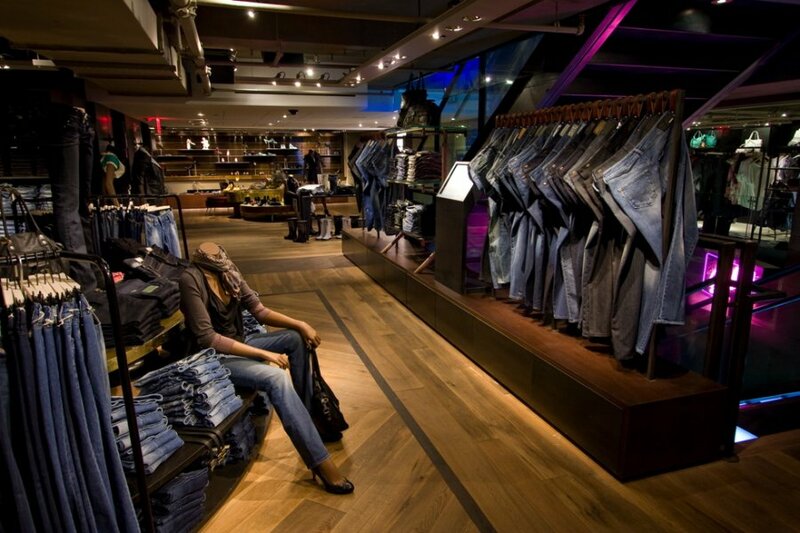 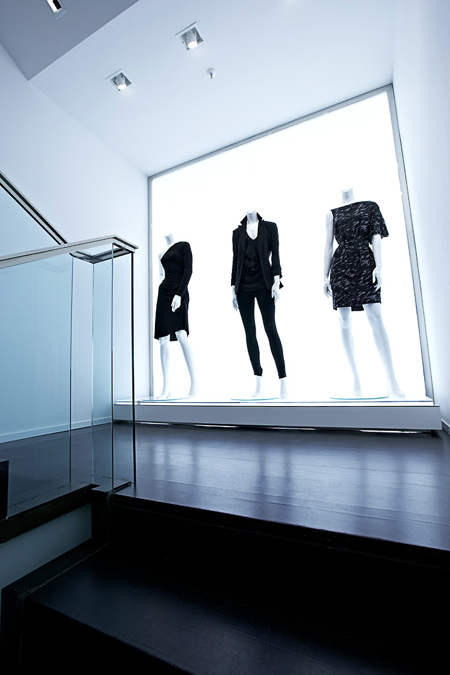 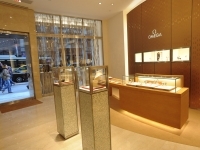 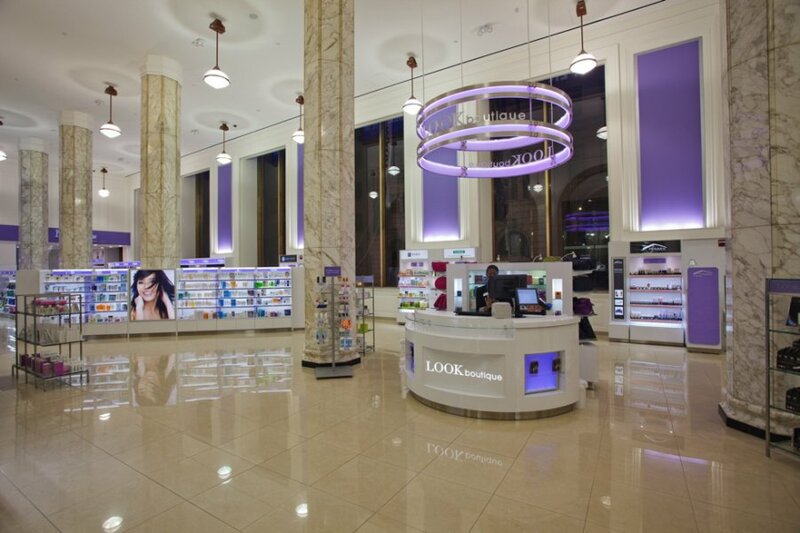 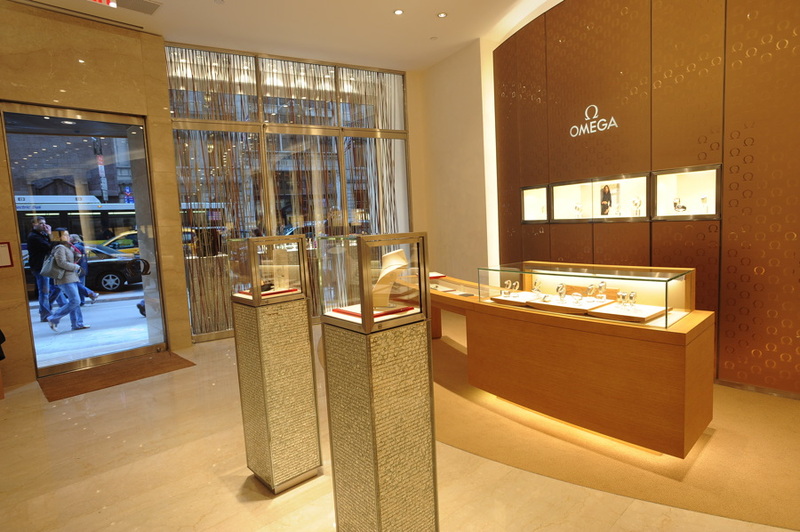 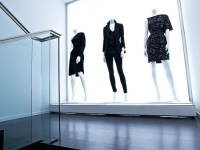 Merchandise was illuminated using a combination of fluorescent and metal halide accent lights, while vertical light pockets grazed the highly textured wall-coverings.